Are Bogus Commercial Driver Medical Certifications An Issue? Truck driver health is a significant safety issue on Alabama highways. Federal regulations require commercial truck drivers to obtain a medical certification regarding their health. Recent events lead to the question — Are some trucker medical certifications bogus? 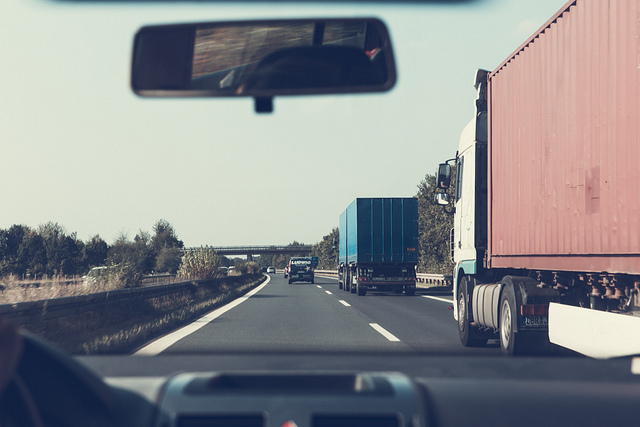 Last year, I wrote an article discussing truck driver health and its impact on highway safety. That article is titled “Are Truck Driver Health Issues Causing Accidents?” According to National Institute of Health (NIH) statistics, truck drivers suffer rates of obesity, diabetes, hypertension and sleep apnea at rates far higher than the general public. When left untreated, these conditions can create huge risks of highway accidents. With proper medical examinations and certifications, many unhealthy and unsafe drivers have the opportunity to get the medical care they need. This protects all of us from needless personal injury on the highway. And, it protects drivers by giving them the opportunity to restore their own health. More than 600 truck operators have been told they need to renew their DOT medical certifications after the arrest of a Georgia-based medical examiner. Tonya Yawn-Lewis of Helena, Ga., was recently arrested by DOT investigators for allegedly issuing bogus medical certifications. She’s been charged with falsification of records and intent to impede proper administration of the DOT. She’s also been removed from FMCSA’s registry of examiners. Wow! This medical examiner apparently signed certifications without even bothering to see the drivers. The Federal Motor Carrier Safety Administration (FMCSA) has contacted the 600 (or so) affected drivers to require renewed medical certifications. Yet, these bogus certifications raise serious issues beyond simple recertification. What will happen to the fraudulent examiner who put lives at risk on our highways? What will happen to the truck drivers who knew their certifications were bogus? After all, they received a signed certification without being examined at all. Should the examiner and drivers who knowingly participated in this scheme go unpunished? Should drivers who participated in an effort to defraud safety regulators be allowed back on the road as commercial drivers? Our laws should punish wrongdoers who participate in schemes endangering our families and neighbors. We need to act. Highway safety is essential to prevent needless injury and death. We must strengthen our procedures to identify and treat dangerous health conditions in commercial drivers. At the Blackwell Law Firm, we help families who have suffered a severe personal injury. From our office in Huntsville, we represent clients across Alabama. Car and commercial truck accidents are a frequent cause of the personal injury cases on which we work. We believe in advocating for our clients. We also believe in using our knowledge to advocate for highway safety. That’s why we frequently write articles about important safety topics such as distracted driving, impaired driving and regulations on commercial trucking. We welcome readers to our blogs and articles. If you or a family member would like to discuss an injury, give us a call. Consultations are always free and confidential.